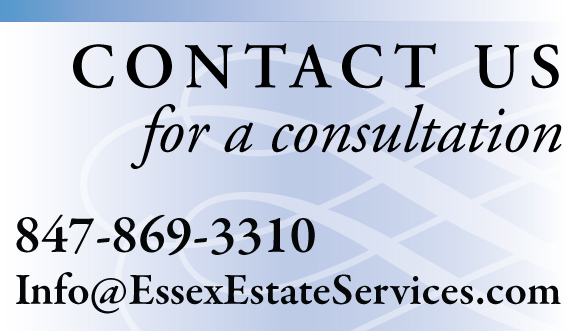 Clients | Essex Estate Services, Ltd.
ESSEX ESTATE SERVICES can help to ease the transitions that life brings, when you need to dispose of a family member’s lifetime accumulation of belongings and sell the family home, downsize and relocate across the country, or move into assisted living. We help you minimize the stress and labor of sorting and disposing of personal property, maximize your financial return—and your peace of mind. Essex manages the entire personal property liquidation process from initial valuation to the removal and sale or donation of every item. We empty the contents and leave the premises in broom clean condition to assist with downsizing and to ready the property for sale. The first step in removing household contents and selling property is a walk-through to assess value. 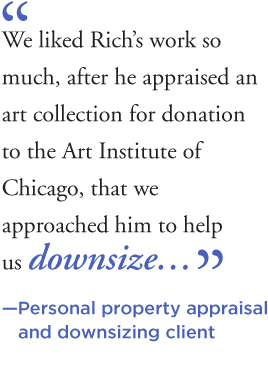 Being informed about the value of your belongings gives you a better idea about what to do next. Our assessment can be either a formal appraisal or an informal valuation prior to sale. We sort through the accumulation of possessions according to value, move the personal property into secured storage and find the best venue for the sale of each item. By drawing from our extensive network of internet sites, dealers, specialized auction houses and private buyers, we maximize the sales exposure and the return on your property. We handle this process for you from beginning to end, tailoring our approach to meet your needs, priorities and timeframe.